Hi I’m James, when I’m not at work, you’ll find me either coaching at the velodrome in Manchester, on my bike with the family and my club Team JRC or if its winter, I’ll probably be looking for some snow… if I’m relaxing I could be listening to anything from 90s trance to hard rock. 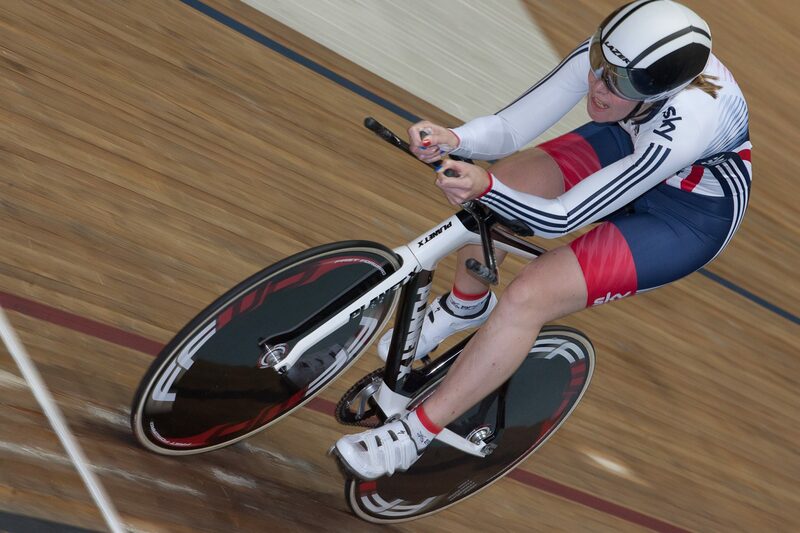 I discovered cycling in my teens, riding round Wales with my club and racing for my school on the Wirral. 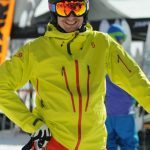 My family introduced me to skiing during my teens which led to many family skiing trips, training at the local Ski Club, and eventually becoming a ski instructor, working in the industry and racing at Masters Level in France, Italy and the Czech Republic with a bronze medal in Giant slalom in Italy. 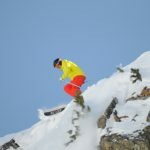 Skiing is still a passion of mine – must be the need for speed. 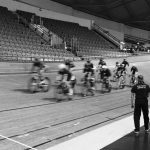 After a gap of around 15 years from cycling I joined a newly formed local club, North Cheshire Clarion, and attended a track taster session at Manchester Velodrome. I left the session feeling exhilarated and hooked. I quickly went through the accreditation process and by my third visit had bought my first track bike. On the track, I focused on sprint events and competitions, with successes in a number of events: National Clarion Sprint champion: 2015 and 2016, LVRC National sprint champ 2015, Riding in the World Masters 2014, 2015 and 2016 in the team sprint, match sprint and time trial. I also competed in the National Masters track championships from 2013 – 16. As a rider, I wanted to improve my training focus with specific goals. I struggled alone to keep focus on what needed doing when, and couldn’t encourage myself so I took on a personal coach who encouraged me when moral was low (work / life balance commitments and pressure), restructured training on certain days if I was unable to commit, and ensured I was working to an annual training plan to target my goals for the season. My personal coaching journey began when my former club started a junior coaching section, and out of the 4 coaches, 3 of them were leaving to go to new jobs and new activities. I stepped in and volunteered, I wanted to give something back to the club, and very quickly found a passion for challenging and inspiring others to achieve their goals. 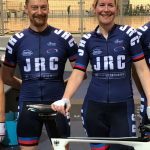 Since then I have been coaching individuals and groups, juniors, vets, track and road athletes, and gaining valuable experience supporting British Cycling Apprentice riders, obtaining coaching qualifications and so James Roberts Coaching was born. Fun fact: Before cycling I had a high level of fitness through copmetition dancing: modern ballet and disco. Hi I’m Claire and I’ve been cycling since I was about 5, growing up on the back of a tandem with my family. 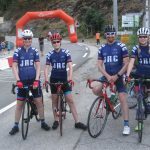 We enjoyed many years of cycle touring throughout the UK and France, meeting new families, cycling with our club and eventually getting my own road bike. I loved cycling up hills and when I was 13 was lucky enough to travel to the Pyrenees to watch the TdF and cycled up some of the famous cols (Aubisque, Tormalet) and later on in life, I discover the Alps and loved the challenge of climbing up the infamous Galibier and Izoard and other major climbs (albeit with paniers on…. ), Age 14 I cycled from lands End to John O Groats with a small group of school children for charity, one of my proudest achievements to date, over 1000 miles in two weeks. We had regular touring and youth hostelling trips during my teens, which all served as training for my racing. 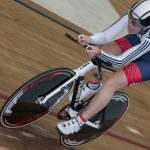 From the age of 12 I started time trialling and then discovered the track and crit racing. It was such fun riding with other kids, mainly lads, and we raced whatever the weather, weekends and evenings, whilst still going out on our Sunday club runs for pleasure and recovery?, which must be why I like café stops and cake so much. After a very successful few years as a juvenile and junior including being National schoolgirl time trial, crit and track champion, being selected to ride on the National Junior Girls Squad, I chose to concentrate on my education after that, gaining a degree in European Languages and business, and then later on a teaching degree. I did however, feel the need to try more racing after university so found myself a job in France when I was 22, joined a French racing club and raced for a year in and around Brittany, it was great fun, racing with women and men, culminating in racing in a stage race I had watched when I was a young girl, and finishing in the top 20 which was a dream come true. After a gap of around 15 years from cycling whilst bringing up my young family (now teens), I returned to cycling for pleasure and started touring again about 5 years ago, but realised I needed to be more competitive in my riding, as I felt something was missing. 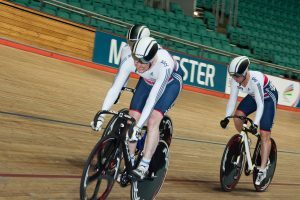 I had always wanted to participate in the World Masters Track Championships whilst being hosted at Manchester but had never been fit enough or had the confidence to participate at such a high level after such a big gap, and having children. 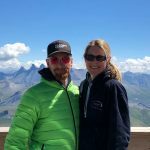 I started working with James and over a period of around 8 months we worked on a training plan building on my skills and fitness and more importantly, my confidence, around my busy family and work life. Not only did I compete at World level but I believed I could do it, I rode with confidence and knowing I was just there in the start gate, was something I could not have dreamed of a year earlier. I still love hills and recently climbed some of the Alpine Classics with James (Galibier, Alpe d’Huex, Glandon), and will definitely be going back for more! Now, working with our own coaching business and helping others achieve their goals and ambitions is another dream come true. Sharing our knowledge, passion and experience to inspire others is why we created JRC, and we look forward to inspiring many more athletes to ride their bikes, and believe they can do it. In my spare time I love shouting at the lovely people of Lymm as Spinning Instructor, cycling with my family, watching films (if I stay awake) and cooking. Hi I’m Chris. 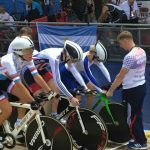 For the last 10 years I’ve tried everything from skiing to mountain biking but my passion has always been track cycling. I have had first hand experience of racing in both the youth and junior categories at both national and international level. As an U16 I was on the GB Apprentice Programme for a year and have had opportunities to race in places such as America and Belgium. In recent years I have found a passion for coaching youth and junior athletes and using my knowledge and experience to help young individuals achieve their goals and aspirations. 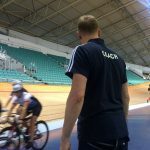 I am working towards a degree in Sports Coaching and Development and have completed several British Cycling Coaching qualifications, to help further both my coaching knowledge and understanding of sports science in greater depth.